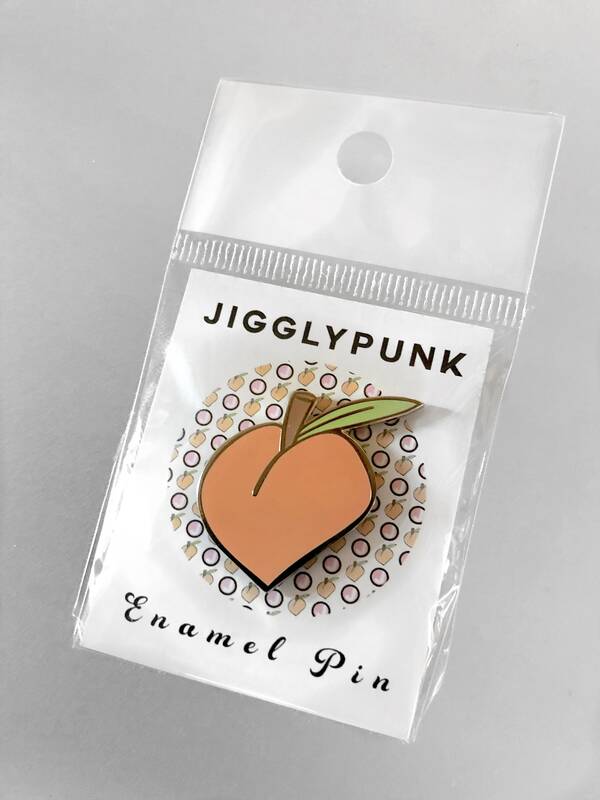 I'm pleased to offer the very first Jigglypunk Enamel Pins! 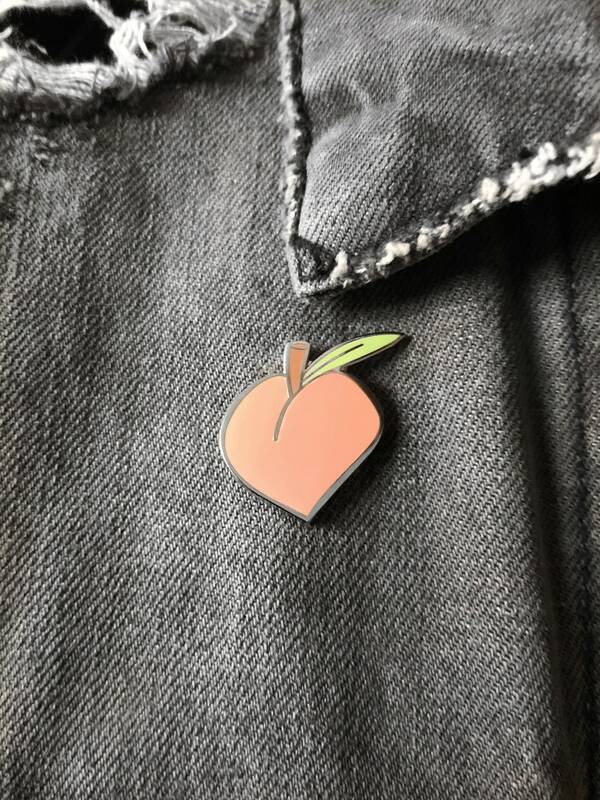 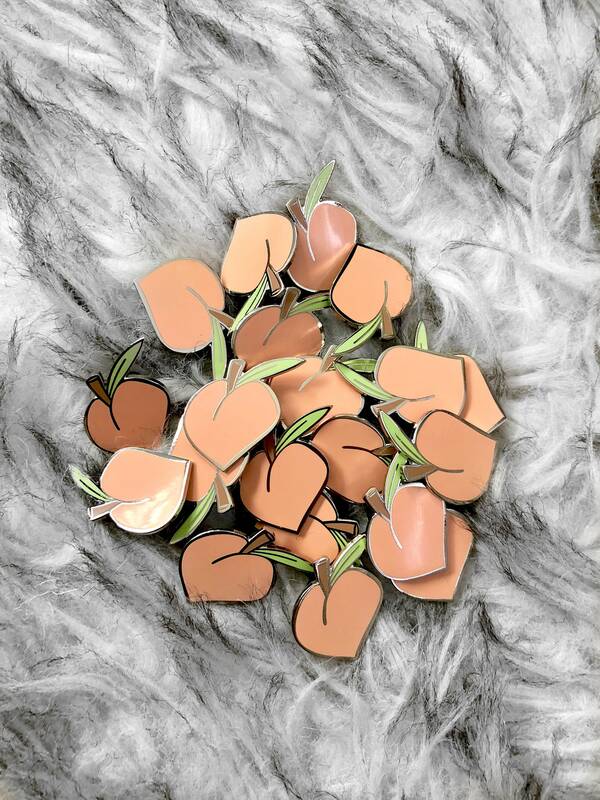 The enthusiasm around our Peach design, featured on our all-over print shirts, has inspired us to adapt it for this very special pin. 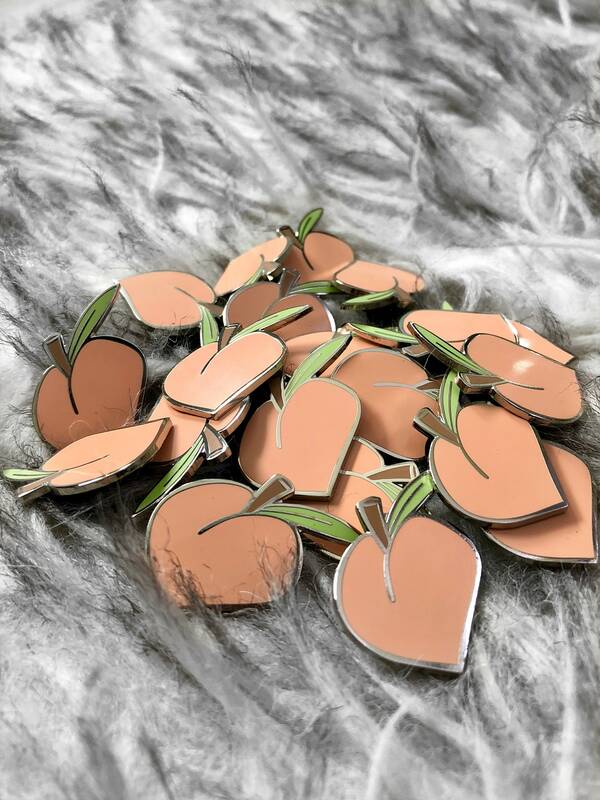 We hope you love and appreciate the craftsmanship and artwork as much as we do!